Gardeners and farmers know that healthy plants need good soil and the right amounts of both water and sunlight. But green roofs are intentionally built with an engineered soil-like substance that more closely resembles a pile of rocks than rich, moist potting soil. To make matters worse, the tops of buildings are often blindingly sunny and very hot in the summer. So how do plants like grasses and wildflowers survive in this type of harsh environment? Cactus and other succulents retain water in their tissues. Ornamental onion (Allium) species have underground bulbs that help them get through cold winters and dry summers. 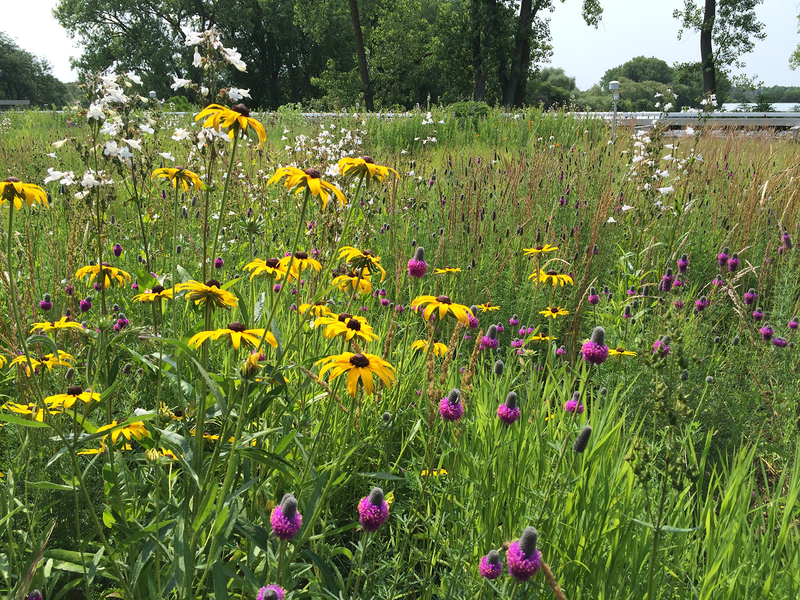 Not all plants will grow on a green roof, even in the temperate Midwest. Most plant species that are successful in the desert-like habitats of green roofs have beneficial adaptations that allow them to absorb and store water and nutrients. Some have succulent leaves with thick waxy coatings to prevent water from evaporating. Others have roots that grow horizontally rather than vertically to maximize the areas from which they absorb water and nutrients. Some use a modified type of photosynthesis to prevent water loss during the hottest and driest part of the day. Still others use bulbs or underground tubers to store nutrients during the long cold winters. Some species may even form partnerships with special fungi in the soil that help their roots with more effective absorption. 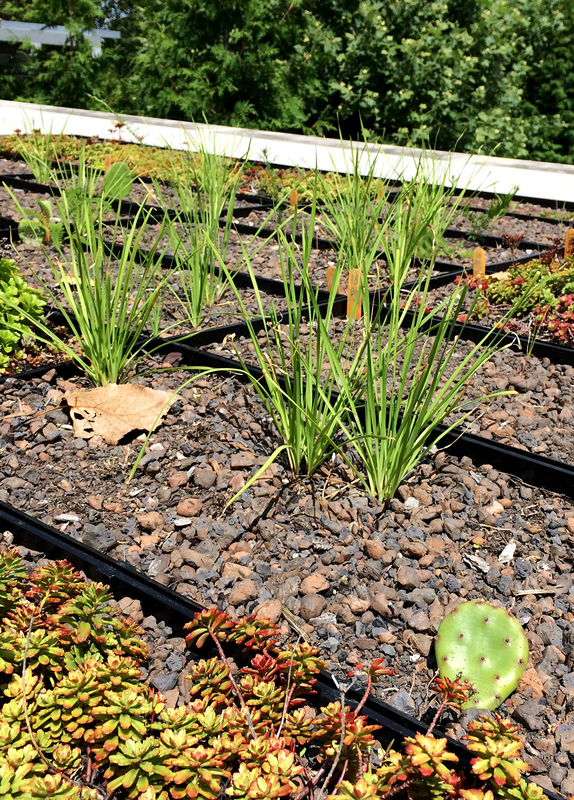 While plant species evolved to develop these various adaptations on the ground, such traits serve the individual plants very well in the harsh environment of a green roof. 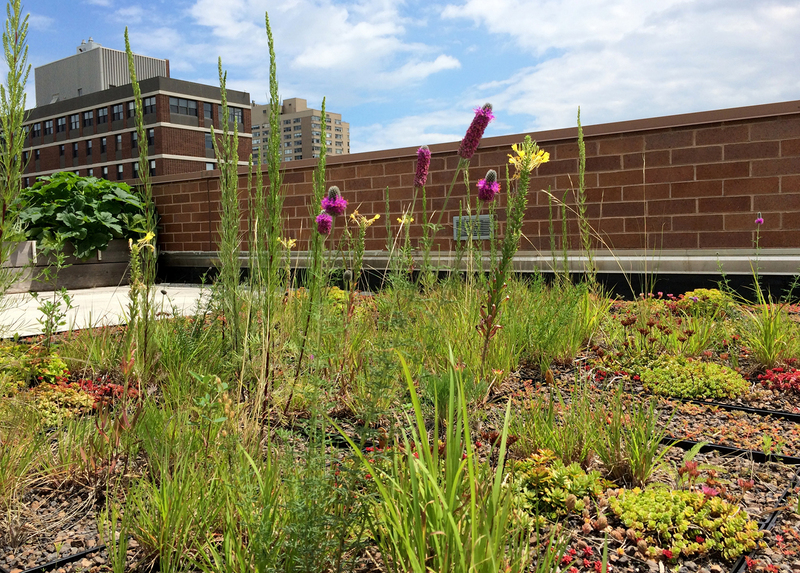 The next time you visit a green roof, you might see a striking diversity of species but you won’t see any wimps. No, these plants are both beautiful and tough. Find more of the best plants for green roofs on our Pinterest board, and see Richard Hawke’s Plant Evaluation Notes for the plants that performed best on our green roof. Students in the Chicago Botanic Garden and Northwestern University Program in Plant Biology and Conservation were given a challenge: Write a short, clear explanation of a scientific concept that can be easily understood by non-scientists. This post is part of their series.